You may look at Mark Zuckerberg and Bill Gates and think – maybe the best way to become a successful technology entrepreneur and business leader is to drop out of a great school, yet the data shows that a very large proportion of the successful entrepreneurs worldwide, studied and received a degree at the top universities around the globe. A better approach perhaps, would be to enroll in programs that provide students with practical tools and experience with entrepreneurship, during their degree, in addition to academic excellence. One example of such a school, that we would like to show as a case study, is Cornell Tech – a top school that now enables students to receive an Ivy League degree in New York City, that focuses on innovation and entrepreneurship. Many of the Cornell Tech alumni move on to start their own companies after graduation. 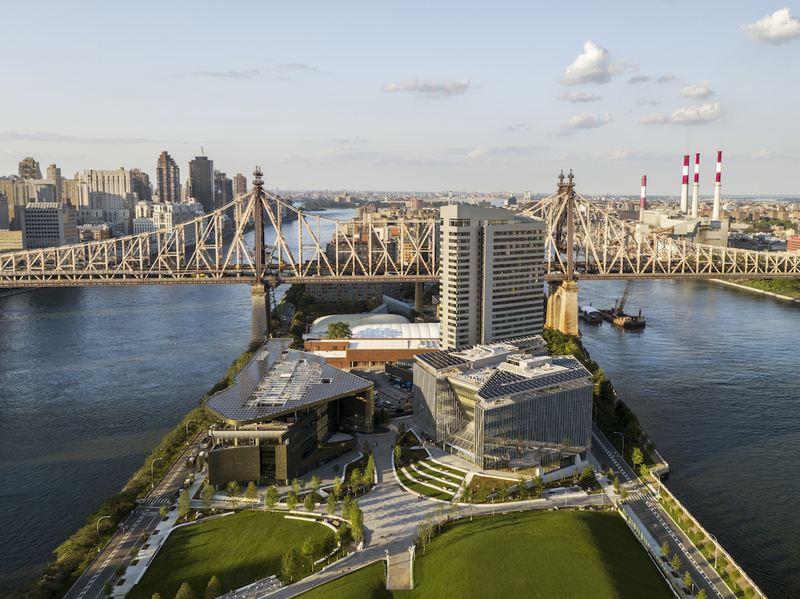 Cornell Tech offers an MBA program – the Johnson Cornell Tech MBA, focused on the foundations needed to become a successful entrepreneur. As part of the program, students complete product studios and startup studios, where they take real world business problems and design solutions to address them. This allows students to graduate with the knowledge and experience needed to become successful entrepreneurs and product leaders in technology companies. Another benefit of the program is that it takes only one year to complete. Brand and reputation of the school in general and as an entrepreneurship school specifically. Curriculum – does it include hands on experience with entrepreneurship? Staff / faculty – does it include academic experts as well as professors with practical experience as entrepreneurs? Duration and cost of the program – these are factors that are always important, all the more if you are looking to make a change in your career and start you own company or join an existing company. If you can complete a prestigious degree in one year rather than two or three – it is a factor to consider. To learn more about the Cornell Tech MBA program as well as regarding other programs offered by Cornell Tech, please visit this page. Once you've made it to a university or college in the US, you'll start to find that you’ll have quite a bit of free time to fill. Use your weekends and breaks to travel around your new area. Of course this depends on your location. For example, if you are attending school in California, there are many options within a few hours drive. If you are studying in more rural parts of the country, you might have to travel a bit further. Here are some tips for getting around and traveling in the states. Many American universities give long weekends for federal holidays, so take the opportunity to plan your trip in advance. Avoid the hordes of tourists and crowds and visit one of America’s smaller, but still interesting cities. Trade a trip to Miami, Florida for a trip to Charleston, South Carolina. Flights and activities will be cheaper. Trade Chicago for Memphis. Trade Los Angeles for San Antonio. Beat the crowd by exploring new places you won't find on a tourist map. Check travel websites like Tripadvisor and Yelp for travel advice. Attention outdoorsy types, U.S. National parks are for you. See the Grand Canyon in Arizona, watch the Old Faithful geyser at Yellowstone Park in Wyoming, or stargaze in Yosemite Valley, California. The U.S. offers hundreds of thousands of miles of hiking trails all around the country. Go for the day or even a week. You won't get bored of the beautiful natural wonders and wildlife the U.S. has to offer. American music lovers flock from all over the country to attend their favorite music festivals. Tickets could be a bit pricey, but festivals are a huge part of U.S. music culture. Save money at festivals by camping or staying in motels close to the festival site, or book your hotel months in advance. Although fairly costly, flying can be the world traveler’s best friend. To get the cheapest flights, you must book well in advance. Also try flying in the off season to avoid long lines and raised fares since the peak travel times for Americans are Thanksgiving (late November) and Christmas (late December). Some airlines will charge extra for luggage, so pack light and avoid oversized suitcases. Websites like Expedia and Travelocity are helpful for finding the cheapest flights. Expedia can also help you bundle deals on hotels and rental cars, saving you money overall. The US Amtrak rail can get you from coast to coast for a reasonable price. The main caveat being the relatively long travel time. Check the Amtrak website to find information on train schedules and trips. A trip by train might be interesting for those who enjoy scenic views and prefer a low stress way to travel. Larger cities will have smaller rail lines that connect to the suburbs of the city, but these won’t take you to a different city. Trains can be the perfect way to get away from city life for awhile. Rental cars are a convenient way to roadtrip with your friends. Rental cars can be cheap, and you get the privilege of controlling the journey and stops along the way. Americans love to take road trips, there are even countless U.S. movies depicting this type of vacation. Use apps such as Waze and Google Maps to navigate the long winding US highways. The average rental car age in the US is 25, but some companies such as Zipcar offer discounts to under 25 college students. Of course, this trip will cost less if you already own a car. How to find and live with a roommate? For many students now, finding a roommate can be like navigating a jungle. Since you are living with this person every day, it’s not a process you want to get wrong. There are ways to make it easier, though, and make sure you’re safe and happy in your new apartment. According to U.S. Census Bureau data, in 2015 a quarter of Americans between the ages of 18 and 34 lived with roommates, up from 23 percent a decade prior. Very few decisions are more critical than selecting your home environment because where you live is important to who you are. It’s also essential to your quality and enjoyment of life, which can be linked to the people you live with, as well as the physical space. Everyone has different styles when it comes to sharing an apartment. Some people are clean, others clean just once or twice a week, and some may not clean at all. Whoever your roommate is you need to find the right balance for your roles and responsibility for the apartment. And just when you think you’ve got things figured out, a new person may move in and changes your apartments' ecosystem. While there’s no universal formula to live with the right people, there are a lot of things students and young professionals can look out for before moving into a new apartment and finding a roommate. Age may matter to a 29-year-old with a 21-year-old roommate, your schedules can be wholly different, and interests in life may not align. If you join the apartment, make sure to get on the lease or if you leave make sure to get off the lease! This can save you trouble with housing authorities down the road. Lastly, a friend of a friend doesn’t mean you will get along with that person. A second-degree social connection does help, but it doesn’t mean your living habits with coincide with each other. Roomi helps students and young professionals rent rooms and find roommates, in a verified community. Roomi has incorporated features, such as secure in-app messaging, secure payment rent processing, and Background and ID checks, to ensure that users can trust the platform and the community. Plus every single listing is vetted. 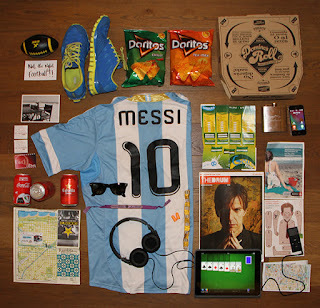 Roomi takes roommate compatibility and matching the right people, really seriously! Roomi matches people based on compatibility as housemates and co-habitants, for instance, can you pay bills on time? Are you a night owl or an early riser? Are you a party animal or a gym rat? Will you take the bins out and get on as housemates? The ultimate vision is to provide better experiences and more affordable housing options for young people, around the world. Only by building more trust and transparency into the shared housing process can people live better together. Former President Barack Obama and current President Donald Trump have employed vastly different immigration strategies. Obama supporters lauded him for passing the executive action, Deferred Action for Childhood Arrivals (or DACA for short), that allowed individuals who were brought in to the US illegally as children to receive legal immigration status. President Trump, however, is famous for his “America first” policies on immigration. His administration has proposed travel bans and more restrictive policies on international entry to the U.S. These different approaches and policy changes have had varying effects on the world of international graduate and undergraduate education. It is too soon to tell if these Trump policies are related to the recent decline in new international enrollment in America. However, many people in the higher education community are starting to point a finger towards President Trump’s policies for these types of issues. DACA was passed in 2012, but in 2014 Obama lifted age restrictions on the policy. This move allowed some international students studying in the U.S. to stay without fear of deportation after they graduate. 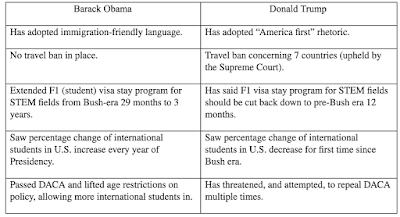 Obama also extended the period of time an international student was allowed to remain in the country after graduation to 3 years for STEM majors and 12 months for many others. During the Obama administration, the United States saw new foreign enrollment grow every single year. The U.S. was truly a power in the field of international higher education. When President Trump took over, the new foreign enrollment dropped 2.9% for undergraduates and 1.3% for graduate students between 2015/16 and 2016/17 (according to Open Doors Report, which said the new international enrollment dropped 3% total last year). It is too soon to tell if this decrease in new foreign enrollment is correlated to the Trump administration. With that said, many professors, deans and university presidents have started to point fingers at the current President. Earlier this year, according to POLITICO, “dozens of higher education groups” wrote in an amicus brief (a legal document for the Supreme Court to consider) against Trump’s travel ban, at the time a proposed ban on immigration from North Korea, Syria, Iran, Yemen, Libya, Somalia and Venezuela. The travel ban was recently upheld by the Supreme Court. The brief stated that the travel ban was a “clarion message of exclusion to millions” that would make it more difficult for universities to recruit international graduate students and faculty. It is important to note that Trump’s travel ban actually exempts graduate students. This means that international grad students can still apply to school in the U.S. but they may experience challenges once they get here (due to growing xenophobia in the States). That opinion is still a popular one, even with the affirmation of the ban. This sentiment can be applied to many different policies Trump has proposed. Also noteworthy is the fact that the travel ban will not affect students from the seven countries that are already in America. However, they are advised not to leave the U.S. as reentry could be challenging. University of Southern California President Max Nikias spoke to CNBC recently on the subject of Trump’s policies, rhetoric, and the administration’s over-regulation of the education community. In the interview with CNBC, Nikias said, "The balance of international students — there is nothing wrong with it. Our university has been welcoming international students for last 140 years… Clearly from my perspective I'd like to diversify international student enrollment." As the President of a large research institution like USC, Nikias is concerned that the anti-immigration rhetoric of President Trump will impact the international student enrollment and more. 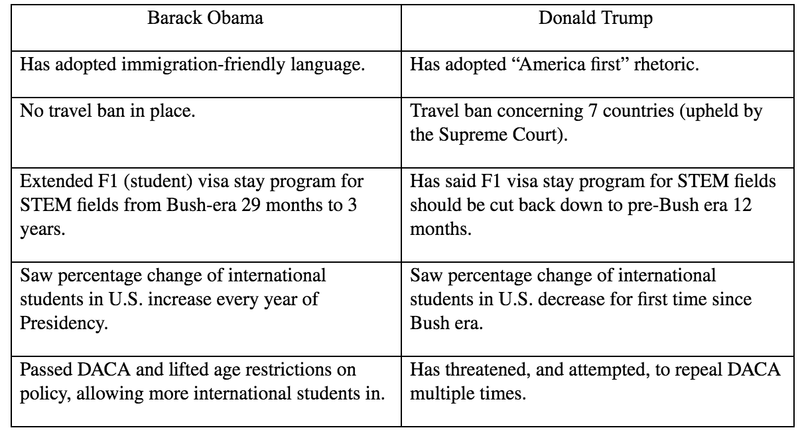 Nonetheless, it may be too soon to tell if Trump’s rhetoric and policies are actually causing fewer international students to apply to programs and universities in the U.S.
With all that said, it does appear to be harder for international students to stay in America under Trump in other ways as well. This relates to Trump’s threats to shorten the length of time somebody with an F1 (student) visa can stay and work in the U.S. after they graduate. The program is called Optimal Practical Training (OPT). As referenced earlier, STEM OPT was extended to a three-year stay under the Obama administration. Trump wants to shorten the stay of those legal students in the U.S. to 12 months post graduation. This kind of approach has lowered the number of international students that come to study in America for the first time in awhile. Countries such as Canada and Australia are reaping the benefits of Trump’s “America first” policies that could be posing a threat to the US’s top spot in the realm of international higher education. Which Graduate Degree Should You Pursue? Take the Quiz and Find Out! Which Type of Graduate School is Best for You? Take a quick, fun quiz to help you narrow down which graduate degree may be best for you! Which university campus is right for you: city, suburban, or rural? Pros: These universities are located in, or around, bustling metropolitan areas, so there is plenty to do. There are many activities to explore, museums or parks to visit, and many places to eat. Public transportation is prevalent, so you don’t have to worry about renting or buying a car. For tips on how to travel throughout each city coast to coast, read more about it here. Cons: Although the city campuses have much to offer, many are very expensive and most are private universities, which can mean pricey tuition. For tips on how to budget your expenses while you’re abroad, click here. Pros: If you picture a “college town” typically you’ll envision a suburban college campus. These schools usually have a main strip or two near campus filled with fun places to explore. These can include spots for things like hiking and jogging, or fun dining at local restaurants, cafes or bars. Cons: Not everything is in such close proximity as the urban campus, so sometimes renting or buying a car is helpful for getting around. This can be significantly more expensive than taking public transportation or walking from place to place. While suburban colleges offer things to do, they tend to offer less variety than a city does. Pros: If you’re looking for a quieter place while studying abroad, one with beautiful nature and greenery, then the rural campus is the right choice for you. Whether it’s shopping, hiking, sightseeing, or dining at tasty, local places, the rural campus offers plenty to do. Many colleges like this are smaller, and offer smaller classes so there are more one-on-one opportunities with your peers and professors. Cons: Most rural campuses are farther from major cities such as New York City or Boston, so getting internships might not be close by campus. Consider renting or buying a car rather than spending money on public transportation. Also, sports teams and school spirit might not be as recognized, like it is at larger universities. Happy 4th of July from GradTrain! Birthdays are always cause for celebration in American culture. But when it’s America’s birthday, it is an extra special party. On the 241st birthday of The United States of America, GradTrain takes a look at how people in the United States celebrate. The Fourth of July, or Independence Day, celebrates the signing of the Declaration of Independence on July 4, 1776. Since John Hancock famously signed his name first in Philadelphia all those years ago, the holiday known simply as “The Fourth” has taken on a life of its own. Depending on where you are in the States, you may enjoy different delicacies to celebrate the holiday. In Texas and other Southern states, barbecues are common. Whether it’s Carolina vinegar, Memphis dry-rub, or Texas hickory smoked, the meats served on Independence Day are sure to satisfy. In the Mid-Atlantic, seafood is typically the main course of choice. In Maryland, Chesapeake blue crabs are a staple. No matter where you go throughout all fifty states, you are bound to find some apple pie! The Fourth of July is a time for all people in America to come together. The United States of America is a land of immigrants and it is one of the most diverse nations in the world. Although the political climate may be divided, July 4th is the one date every year where everybody in the country can enjoy each other’s company. Citizens, immigrants, international students, and tourists alike, can bask in the summer fun and celebrate. 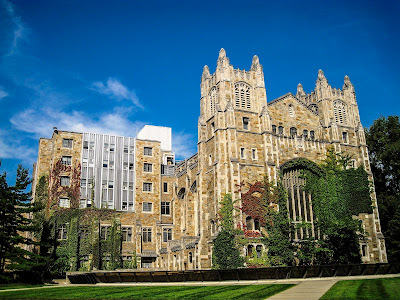 Most Beautiful Colleges and Universities in the U.S. Applying to colleges and universities in the U.S. can be a challenge. Finding the right school is important, and matching a school's academic rigor with the campus's aesthetic appeal can be rather difficult. Below are some schools that offer both a great education and beautiful architecture and scenery. The University of Colorado Boulder is located in a college town right by the Rocky Mountain Foothills. The city of Boulder has many different activities and you'll never run out of places to eat. Local restaurants like Pasta Jay’s, The Buff, and Zolo Grill are popular. And if you have a sweet tooth, make sure to check out Sweet Cow Ice Cream. If you're into mobile eateries, check out Rayback Collective which is a nearby food truck park. 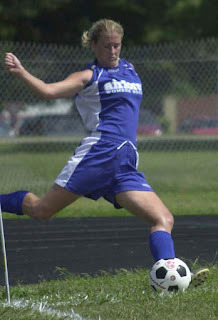 There is a wide variety of entertainment around campus. You can go hiking at Chautauqua Park, visit the Museum of Natural History, or shop at the Pearl Street Mall. Stanford University is located in upstate California, sandwiched between the cities of San Francisco and San Jose. Stanford students are involved in 36 varsity sports and 32 different club sports. Aside from Division I college football, Stanford boasts activities like squash, water polo, fencing, and sailing. For Instagram worthy pictures check out the large stained glass windows of the Memorial Church or the Arizona Cactus Garden, and hike along the Stanford Dish trail. Enjoy local food at CoHo Cafe or The Counter. If you’re looking for more upscale dining, Evvia may be your spot. 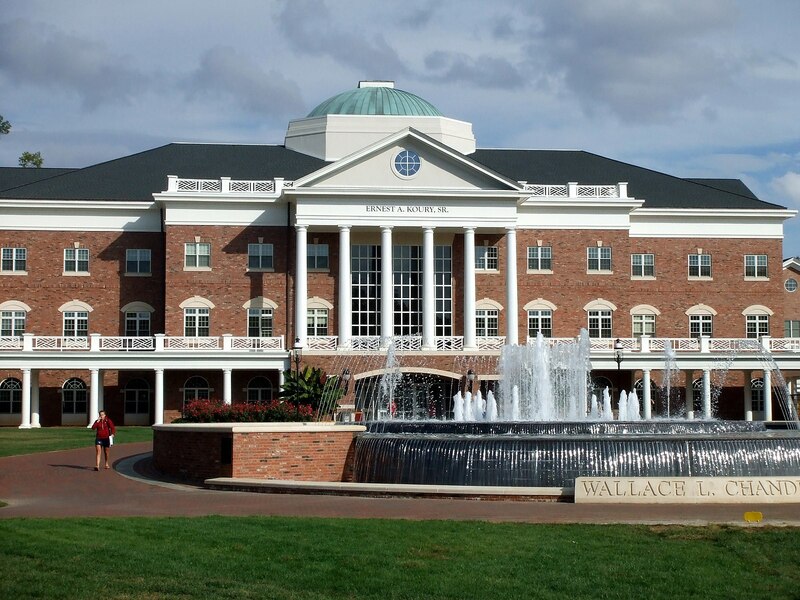 Elon University is ranked in the top 40 for the best value for private universities by Kiplinger. It is also close to Durham, NC, where Duke University is located. Elon’s campus is known for having beautiful plants, trees, and flowers. The Fonville Fountain, a campus staple, sits in front of the Alamance Building (seen above). Elon has a diverse assortment of campus organizations and activities, many students are involved in Greek Life, club or intramural sports, and even acapella groups. If you are looking nearby for some tasty milkshakes and burgers, Cook Out is a great place to go. Brigham Young University is a private university in Utah with a beautiful campus. Some things to do in Provo include visiting the Museum of Art or the Monte L. Bean Science Museum. Hiking along The Y Trail or checking out Bridal Veil Falls just a few miles from campus are also popular. 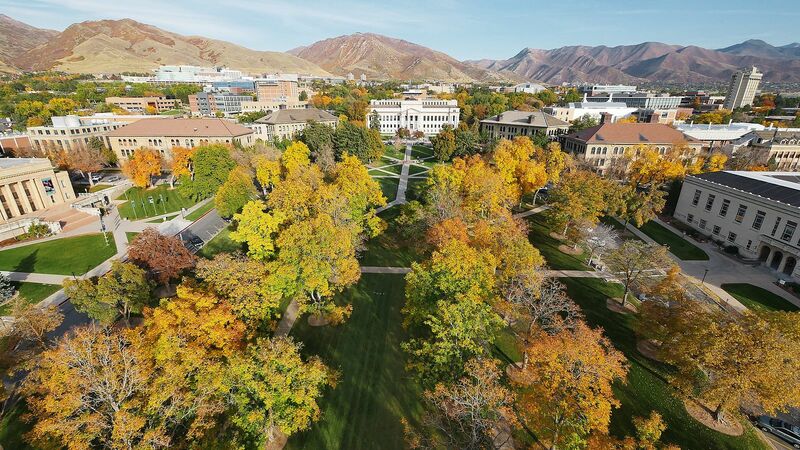 The Deseret News of Salt Lake City even named the campus “the Disneyland of American colleges and universities.” With a name like that, the campus must be worthy of a visit. Go to Waffle Love for a good breakfast, Pizzeria 712 for lunch or dinner, Provo Bakery for donuts or cookies, and BYU Creamery for more dessert! 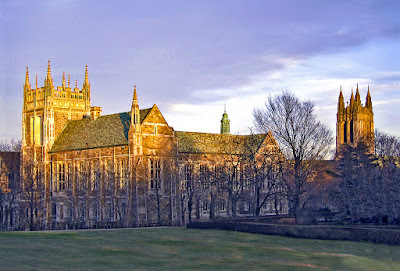 Boston College is a private research university located just 6 miles outside the city of Boston. The Collegiate Gothic architecture prominent throughout campus was designed largely by Charles Donagh Maginnis, and his firm Maginnis and Walsh, in 1908. 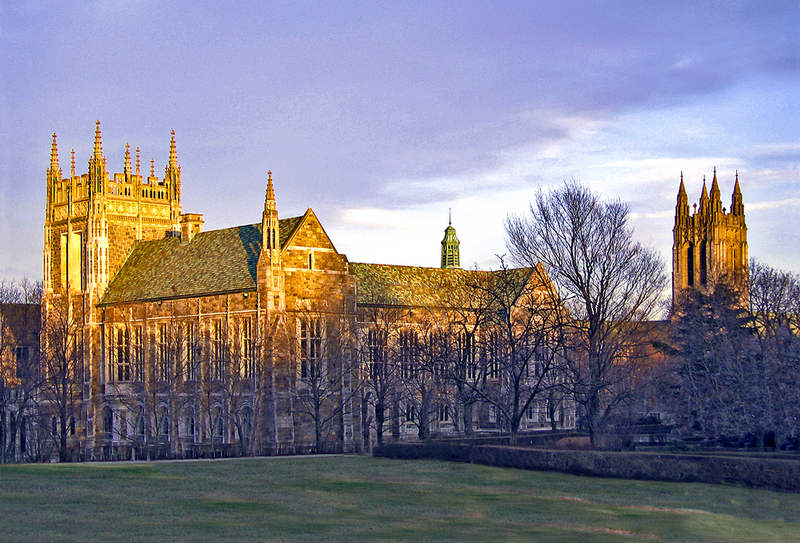 Gasson Hall is one of the most notable buildings in this style at the Jesuit College. Enjoy a walk around the Chestnut Hill Reservoir, kayak on the Charles River, go to the Shops at Chestnut Hill, or head into Boston to check out all the local historic sites. As for food, there’s a wide variety of places, including El Pelon Taqueria, Crazy Dough’s Pizza, or even White Mountain Creamery to satisfy an indulgent craving. The possibilities are endless being located so close to a bustling city like Boston. 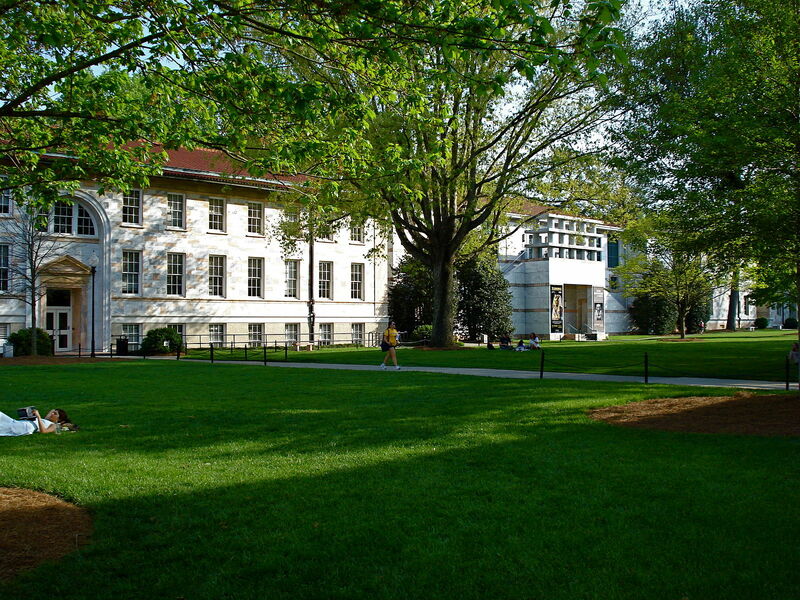 Emory University is a private university located in the Druid Hills of Atlanta, Georgia. One of the most notable buildings on campus is the Lullwater House, located along the Lullwater Preserve. This area is known for its hiking trails and the famous Candler Lake. Hungry Emory students love to get pizza from Antico, lunch at Cox, and tasteful Mexican food from Taqueria Del Sol. You can also get your sushi fix at Thaicoon, or eat a bit healthier at Kale Me Crazy. 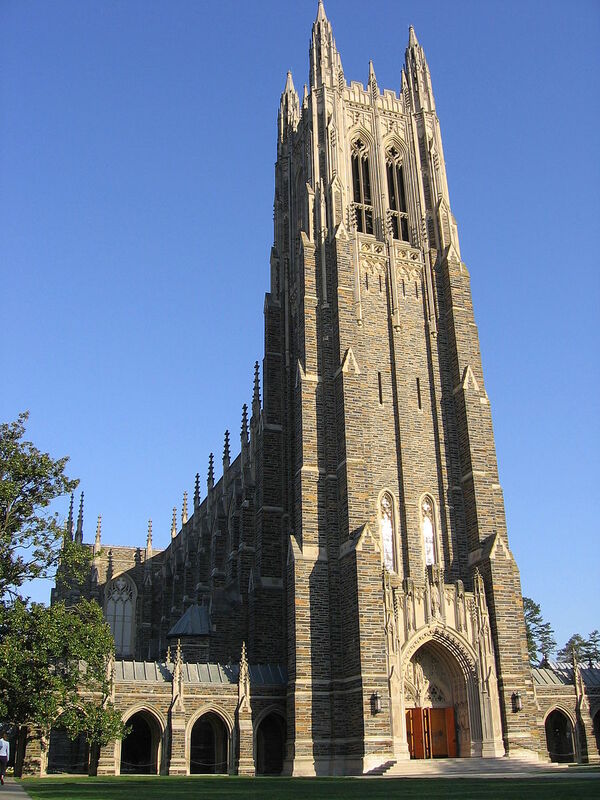 Duke University is a private university in Durham founded in the twentieth century. It exhibits exquisite Collegiate Gothic architecture with over 250 buildings covering 2000 acres. The Duke Chapel established the new campus in 1932 and stands at 210 feet tall. Check out the Sarah P. Duke Gardens, or have some fun with friends at the Bull City Escape. Take a pit stop at Taste Carolina Gourmet Food Tours or Parlez-Vous Crepes. You can also go to The Parlour for local ice cream, or Dame's Chicken and Waffles for a taste of quality Southern food. 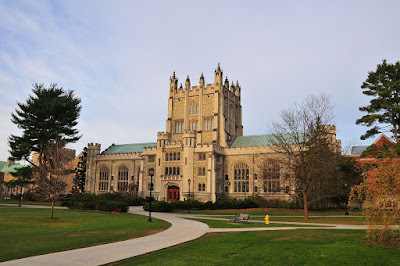 Vassar College is a liberal arts college located in a small town of upstate New York founded in 1861 as a women’s college, and became co-ed in 1969. The campus has a plentiful amount of trees and greenery all around campus. The Thompson Memorial Library has a Perpendicular Gothic style. Explore the Frances Lehman Loeb Art Center, hike along the Appalachian Trail, or check out the Trevor Zoo. Essie’s Restaurant, Twisted Soul, Lola’s Cafe, or Beech Tree Grill are just a few of the local eateries to enjoy. Pepperdine University is a private university located along the beautiful coast of Malibu, California, founded in 1937. Take a stroll down Malibu Bluffs Park, tan or paddle board at Malibu Lagoon State Beach, surf at Surfrider Beach, and site see at either Malibu State Creek Park or the Malibu Pier. D’Amore’s, Ollo, Tramonto, Malibu Farms, and Cafe Habana all offer delicious, local foods that could also make the Instagram feed. 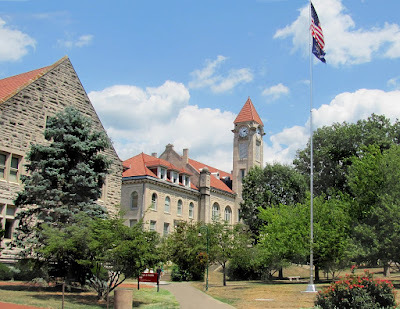 Indiana University, located in Bloomington, Indiana has a beautiful campus with many limestone buildings. The gorgeous Sample Gates make up the entryway of campus. Fun things to do around Bloomington include taking a walk or hike around Griffy Lake, or attending the local Bloomington Community Farmers’ Market. Buffalouies, The Big Cheeze, The Runcible Spoon, Mothers Bear’s, The Owlery, and Nick’s English Hut all are great eateries in the area. Amherst College is a private liberal arts college located right in Amherst Center. 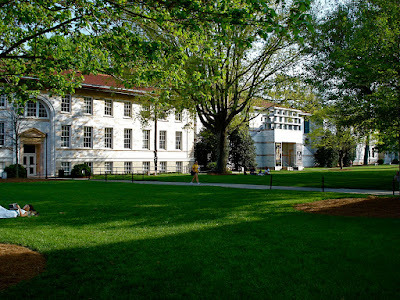 The campus was founded in 1821, and has over 100 buildings including the President’s House. When it’s warm, swim and hangout by Puffer’s Pond just a few miles away from campus. Amherst is less than a 2 hour drive from Boston, but you can also stay local in Northampton or Amherst to shop. Check out Bueno y Sano for local Mexican food, Arigato Sushi for delicious sushi in the area, and Antonio’s for pizza of every kind, from tortellini on the slice, to avocados and tortilla chips. Bart’s Ice Cream and Flayvors are both places you must try in the area for dessert. Also make sure to swing by Glazed for warm, flavorful donuts! 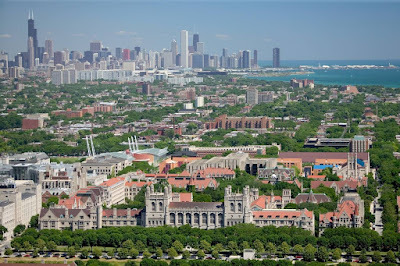 The University of Chicago is a private university located right by the city of Chicago. The campus features architecture from noted architects such as Frank Lloyd Wright and Henry Ives Cobb. There are buildings in styles ranging from Gothic to Contemporary. You can explore The Smart Museum, use the Chicago Greeter for a free tour of the city, or go to the famous bean at Millenium Park. Zaleski & Horvath is a healthy place to go for lunch, Fabiana’s Bakery has fresh baked goods, Hampton Social is a great spot for an enjoyable brunch, and Dusek’s is the spot for a more upscale dinner. Magnolia Bakery is a well-known joint, with sweets including cupcakes, banana chocolate pudding, and even lemon bars. 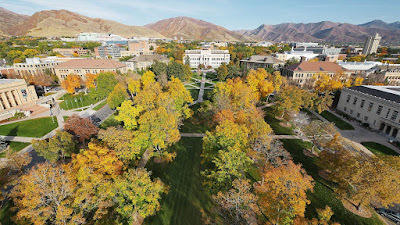 The University of Utah is a public university in Salt Lake City, located in the Wasatch Mountain range. The university is right in the middle of the city, so there is plenty to do around campus. Activities include bouncing around at Snogression Trampoline Park, skiing on Canyons Resort, resting at Dimple Dell Park, or hiking to Lake Blanche. Check out delicious restaurants like R & R BBQ, Spitz, or if you’re craving Mexican food, Red Iguana. The University of Michigan is located in Ann Arbor, a lively college town with lots to offer. There’s The Ann Arbor’s Farmers Market, The Hands-On Museum, and even the Matthei Botanical Gardens. Around campus there are tons of restaurants to enjoy, including Sava’s, the world famous Zingerman’s Deli, Angelo’s, Sushi Town, and more. 1. Independence. Living in an entirely new and foreign place away from your home country will foster a greater degree of independence. Even doing simple, everyday things like paying bills or going to the grocery store will provide you with an enhanced feeling of self-sufficiency because of the foreign language and unfamiliar culture that you are bound to encounter while running errands. 2. A new way of thinking. Leaving a familiar space forces you to step outside of your comfort zone. When you step beyond your inner circle and realize what else the world has to offer, you will find new experiences, encounter new ideas and ultimately gain a better understanding of the world around you. Studying abroad will also give you the opportunity to meet new and exciting people, who have had different life experiences than you, who can challenge your way of thinking and even give you a better insight into yourself. 3. Tolerance. Coming across people at university of other ethnicities, religions and cultures, those who you would not meet otherwise, will teach you how to get along and cooperate with all kinds of people. Understanding new people and where they come from will also shape you into a more understanding and tolerant person. This can enhance your personal relationships with friends and family back home, your future relationships and your workplace relationships with bosses, coworkers and employees. When you graduate, it is essential to take everything that you have learned about yourself abroad and bring it wherever you might find yourself after graduation, whether it be back in your home country or a new city in the United States. These are critical and formative once in a lifetime experiences that should not be left behind.